Moving is a very stressful situation, so I was nervous at first. 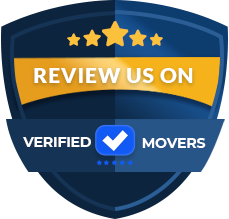 Dircks Moving & Storage made our move awesome and easy going! Our packers and drivers were great! Pickup was on time, and they made it seem so simple. Delivery was just as good. I would definitely recommend this company to everyone! 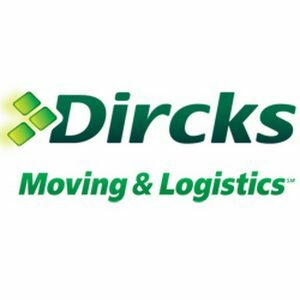 I heard of Dirick's Moving & Storage from my previous employer. They spoke very highly of the company and assured me I wouldn't have any issues with them. I am so glad I took his advice and went with this company for my move. They were professional, on time, packed and loaded all of my items and even offered storage since my house was not ready right away. They re-assembled all of the items they took apart and even placed everything in the correct rooms. The new house I moved into had stairs and they didn't make a big deal about it at all. I would use them again without question. Dirck's Moving and Storage made my move as stress free as possible from beginning to end. Their entire team from the people in the office, to the movers were awesome! Their paperwork is easy to understand and perfectly broken down. They answered all my questions upfront and made sure I was comfortable with their answers before jumping to the next. They arrived on time and were clean and proficient. They packed and loaded all of my items within a short time. My delivery location was smaller than they expected and they ended up having to unload and reload onto a smaller truck. Not once did any of their workers complain or show any signs of frustration. Thanks to everyone at this company that made this whole process run smoothly. Chip Dircks began his career in 1970 as a mover and learned his business from the ground up. He has excelled in operations and administration. In 1990, he started Dircks Moving & Logistics and is now partnered with Mayflower as an agent. Per the US Department Of Transportation, they are operating a fleet of thirty different sized trucks that are all insured and licensed to go across the nation. Nonetheless, they are prepared to get your items to you as fast as possible! Dircks is a full service moving company that can make your move as easy as can be. You can customize your move so that you do as little as possible or even pack your entire move. They will disassemble all large furniture with every move and also pad wrap it to safely transport your items and they will assemble upon delivery. 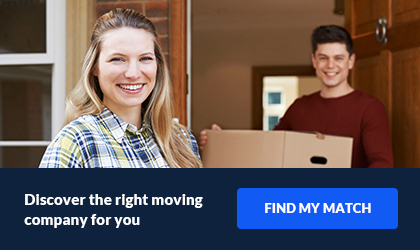 The movers will arrange your belongings in the rooms of you choice. You just point and they will place them! Dircks Moving & Logistics offers local residential and long distance moving. 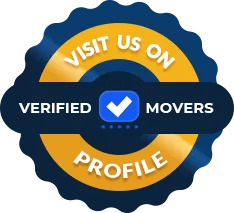 They provide commercial/industrial relocation, each move has a specific and experienced coordinator who can work with you. They also have a special military move, that gives discounts and an experienced coordinator who deals with military moves. Dircks owns a 110,000 sq. ft warehouse that contains over 2,700 storage vaults for all your goods, they are available for short and also long term use. Dircks Moving & Logistics is an accredited business and has maintained an A+ rating consistently. They have nothing but immense dedication to make each customer happy. They will cater to each and every need and do it at a cost that is reasonable and affordable! Dircks will also help you in any way can. You will be happy you chose them!